The love of the Boundary Waters Canoe Area is one that transcends generations, political views and all the differences that mankind frequently continues to point out. Leave all that behind for just a couple days, everything will be there when you get back to the grind. Swap out your daily, routine scenery with that of the Northern Wilderness, whether it be with your family, a group of friends or a local club – the BWCA is waiting to be explored, so set up your dates and call us for your entry permits and needed BWCA outfitted equipment. Canoeing the channels of this vast preserved Wilderness is a treat many like to indulge in. 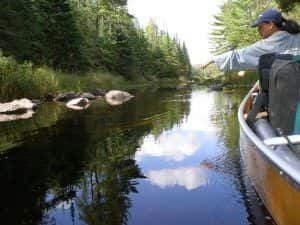 That is why, for your convenience, Ely Minnesota has a number of Boundary Waters Canoe Outfitters and Moose Track Adventures is dedicated to offering the best gear at the best price and in the best quality. Don’t take your journey with more than you need in the BWCA and never go with less of the necessities. We offer specialized BWCA outfitting services that are All Inclusive, Partial and even one for just the Canoe and Food. We can fill any of your canoeing needs out here in Ely, next to the Boundary Waters. Have you brought your favorite Rod and Reels to Fish the Boundary Waters Canoe Area? 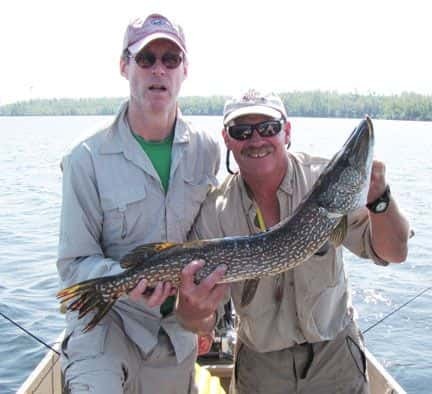 Our Fishing Guides can take you on a trip to local favorite fishing waters, such as a Basswood Lake, The White Iron Chain of Lakes, Ely area lakes and even Remote Lakes in the Boundary Waters Canoe Area. We can’t promise you’ll get a trophy but we can sure increase the odds like we have done for many before. Camping overnight in the Boundary Waters? You’re going to need sturdy gear so that you can handle any challenges the majestic northern wilderness has in store and be comfortable when you see nature’s wonders unfiltered. We offer Marmot tents, sleeping bags, even Therm-A-Rest sleeping pads for added comfort in the most lightweight way. We can Outfit your entire Boundary Waters Canoe Area trip or just fill in the needed blank spaces. The Northern Wilderness is Calling – if you can’t hear it it’s because you’re not in Ely yet! Reserve your dates for our BWCA Outfitting Packages online or call us and don’t forget to request your Boundary Waters Entry Permits for added convenience or for customized Outfitted and/or Guided BWCA trips. Our number is 218-365-4106.